Celebrity philanthropist and animal lover Jean Shafiroff, was spotted at the Nineteenth Annual ASPCA Bergh Ball. The very fashionable Ms. Shafiroff was resplendent in an Oscar de la Renta gown. The pale pink silk taffeta confection featured embroidered silk flowers cascading down a central panel. This year's ASPCA Gala was held at the Plaza Hotel and honored Drew Barrymore. 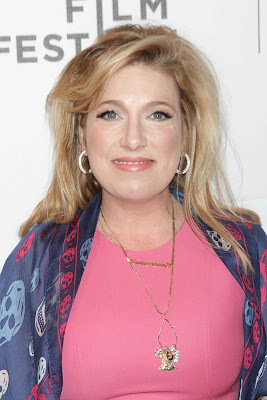 Martha Stewart presented the ASPCA Compassion Award to Ms. Barrymore and Nathan Lane served as the evening's emcee. Other noteworthy guests at the event included Georgina Bloomberg and Chuck Scarborough . 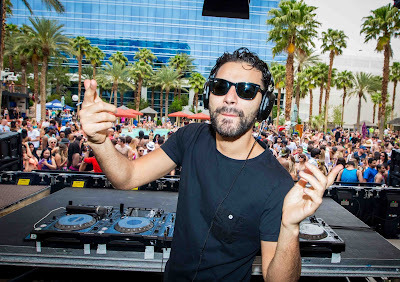 Fadil El Ghoul, AKA R3HAB performed at the REHAB Pool Party at the Hard Rock Hotel & Casino in Las Vegas, Nevada over the weekend. 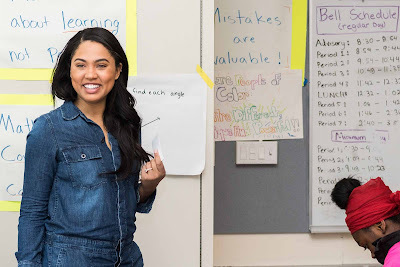 Ayesha Curry, wife of NBA MVP Stephen Curry has made a name of her own with a successful cookbook, blog, and YouTube channel all dedicated to her love of food, family, faith & the joy of eating well. Since healthy eating has always been a priority for both Ayesha and her family, she has recently become an ambassador for No Kid Hungry, an organization dedicated to ending childhood hunger in America. Helen Mirren looked stunning at the 43rd Annual Chaplin Award Gala at Alice Tully Hall last night in New York City. 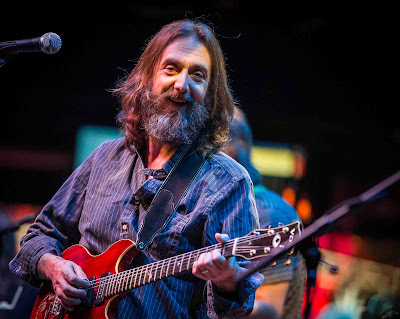 Chris Robinson Brotherhood performed at Brooklyn Bowl at The Linq in Las Vegas, Nevada the other evening. LAS VEGAS - Now rolling into The Liberace Garage (www.liberace.org) at the Hollywood Cars Museum, Las Vegas, in all of its red, white and blue splendor, is the late entertainer's Bicentennial Rolls Royce, a 1952 Silver Dawn two light convertible London Motor Show car. 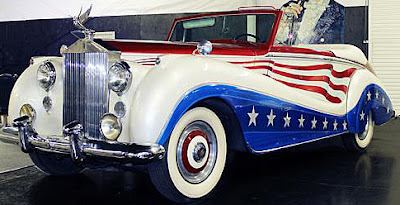 Designed for the "Liberace Show '76," the majestic vehicle was used on stage at the Las Vegas Hilton, with Liberace flying out of it via high wire cables while fireworks exploded and "Stars and Stripes Forever" played. It was later used at Radio City Music Hall in New York City for the 100th anniversary of the Statue of Liberty. For Liberace, cars were often an extension of his wardrobe. So naturally, accompanying the Rolls is an updated version of a red, white and blue "Hot Pants" costume. E! NEWS -- Two years ago it didn't look like Beyoncé and Jay Z were going to make it to their next wedding anniversary. Their marriage was at breaking point and they were barely talking. The couple was forced to make a choice: save the relationship or live separate lives. "They had been having problems for years," reveals a source close to the couple. "There was a constant commitment issue between them and in the end they were barely speaking. Beyoncé didn't fully trust Jay and it was hard for her to get past that." And so began an intense period of reflection for the couple, continues the insider. "They went to a lot of counseling and have been working on their issues ever since. 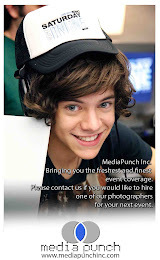 They had help to get them through it." 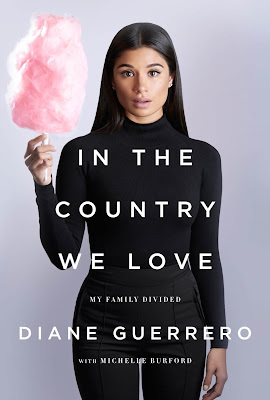 In 2001, when actress Diane Guerrero was just 14 years old, her parents, who had left the poverty and corruption of Colombia for the United States in 1981, were deported along with her older half brother. The American-born Guerrero stayed behind with family friends to attend high school and college, paying her way with help from her parents and after-school jobs. After years of hiding her family's history, Guerrero, now 29, spoke publicly about it for the first time in a 2014 Los Angeles Times op-ed. Since then, she has met President Barack Obama and become a White House ambassador for citizenship, out May 3rd, she publishes a memoir, In the Country We Love: My Family Divided. 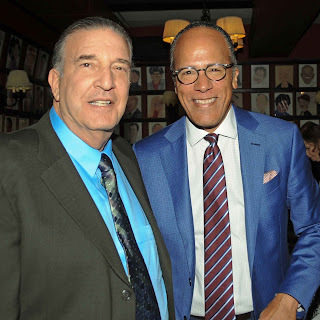 Lenny Stucker and Lester Holt were snapped at the NBC annual Luncheon for all who have worked at NBC over the years. This is the 21st year of this great event. What a great location at world famed Sardi's. Author of Successful Philanthropy: How To Make a Life by What You Give, Jean Shafiroff, celebrated the cover of 25A Magazine’s spring issue. The invitation-only event was held at Sant Andrea Cafe. Guests included: Kithe Brewster, Tamara Chant, Sonia Nassery Cole, Montgomery Frazier, Lucia Hwong Gordon, Dawne Marie Grannum, Chiu-Ti Jansen, Katlean de Monchy, Pamela Morgan, Adele Nino, Lauren Day Roberts, Cassandra Seidenfeld, Jean Shafiroff and Patricia Shiah. 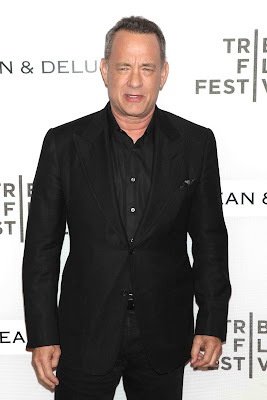 Tom Hanks attended the Tribeca Talks Storytellers: Tom Hanks with John Oliver at the 15th Annual Tribeca Film Festival at BMCC on in New York City. Ricky Gervais and Jane Fallon strike a pose at the World Premiere of Special Correspondents at the 2016 Tribeca Film Festival at BMCC in New York City. The Women's City Club of New York (WCC) honored four women for their contributions to society through philanthropy, advocacy, and leadership at its 2016 Civic Spirit Awards Dinner. 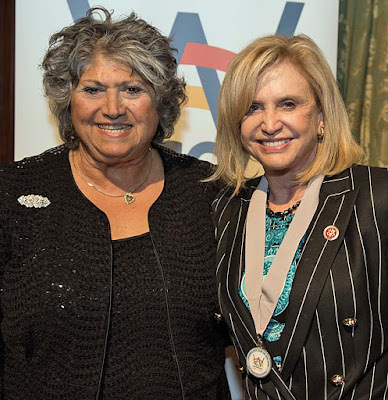 The dinner celebrated one hundred years of activism for WCC and attendees included several women in leadership positions across various fields in New York. 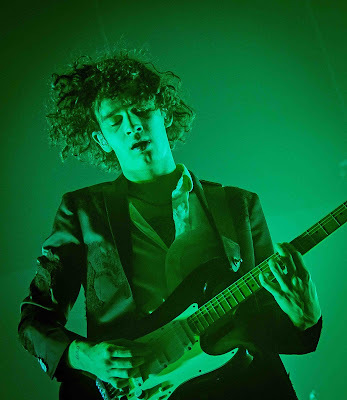 The 1975 performed at The Chelsea at The Cosmopolitan of Las Vegas in Las Vegas, Nevada yesterday. The New York Center for Children (NYCC) hosted its 21th Anniversary Spring Cocktail Reception at Clement Restaurant at the Peninsula Hotel in New York City. The NYCC celebrated over 20 years of helping the most disadvantaged children achieve their potential. The event featured a Live Auction where participants could win a customized Vespa. There was also a Silent Auction where guests bid on exquisite gifts and experiences. Timatha Kasten performed a musical tribute accompanied by a jazz trio honoring the memory of Broadway legend Marty Richards. 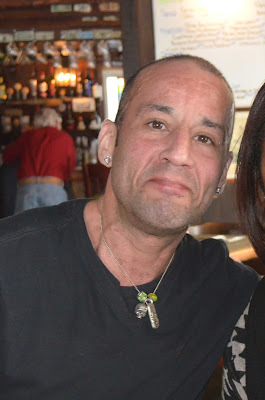 Having lived in Long Island City at Hunters Point South for almost a year now, it has been a very sad day for all our residents because of the death of Alex Perez. Living in a new community brought in new lives for many of us. Building a strong community, building new friendships has been a wonderful adventure. Alex Perez was one of the greatest joys in our new community. Alex a EX NYC Cop loved animals. He built a cat hotel on a vacant peace of land for the stray cats so they would not freeze to death in the winter. He spent almost all his money every month to feed them and spent endless hours late at night roaming Hunters Point South for great additions to his hotel. Residents of Hunters Point Crossing helped out with food and support to help Alex in his quest to keep the cats safe and warm. Sadly, the sanitation department tore it all down the other day for the Bernie Sanders Rally. But lucky, Alex never saw his dream pet hotel destroyed. Tina Fey attended the Tribeca Talks Storytellers: Tina Fey with Damian Holbrook during the 2016 Tribeca Film Festival at BMCC on last night in New York City. Susan Sarandon along with Billy Magnusson and Joy Gorman Wettels were snapped at the US Premiere of The Meddler during the 2016 Tribeca Film Festival at BMCC last night in New York City. 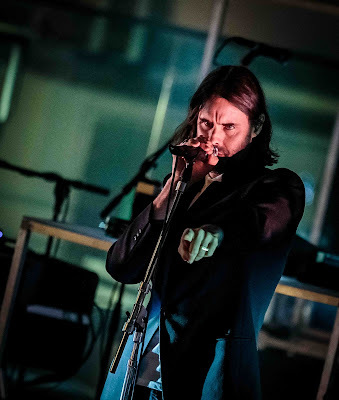 Miike Snow performed at The Boulevard Pool at The Cosmopolitan of Las Vegas in Las Vegas, Nevada over the weekend. Mackenzie Davis and Caitlin Fitzgerald at the World Premiere Narrative of 'Always Shine' diring the 2016 Tribeca Film Festival at Bowtie Cinemas in New York City. The stars were snapped at the World Premiere of 'Wolves'during the 2016 Tribeca Film Festival at the SVA Theater the other evening. 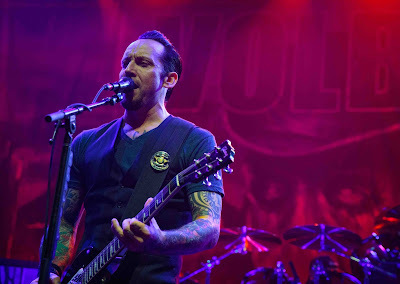 VOLBEAT performed recently at The Joint at The Hard Rock Hotel & Casino in Las Vegas, Nevada. We really enjoyed the Bernie Sanders Event right outside our High Rise building tonight. Being that I know most politicians personally, I do not like to endorse on the risk of losing a friend. Over the years I have photographed Hillary Clinton along with Donald Trump so many times, I can not even count. I like Hillary, but I think it's time for a change from the same faces in politics. I have been watching Bernie for a while now, and though I have never met him, he really knows what he is talking about. 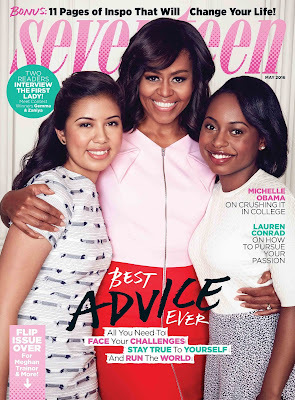 NEW YORK, April, 15, 2016 – Seventeen, the largest monthly teen media brand, today unveiled the May 2016 flip issue featuring First Lady Michelle Obama and two real girl winners of the Seventeen Better Make Room essay contest on one cover, which opens to a 11-page commencement section, and singer-songwriter Meghan Trainor on the other. This marks the first time that a First Lady has appeared on the cover of Seventeen, and inside the First Lady offers advice to the winners—and all Seventeen readers!—on preparing for college. The diabolical eight-year-old Tina Denmark (as played by the phenomenally talented Tori Murray in RUTHLESS!) 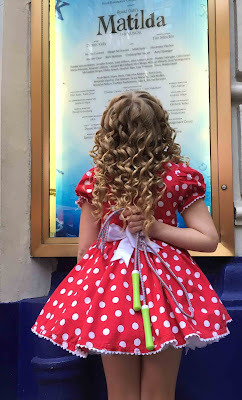 was recently spotted loitering in front of Broadway’s MATILDA. In this photo, captured by a random tourist, Tina can clearly be seen clutching a jump rope behind her back; the very weapon she purportedly used to bump off a fellow third grader! Until a restraining order is in place, the MATILDA company has stepped up its in-house security force. New York, N.Y. – The New York City Mission Society honored Afro Latin Jazz Alliance (ALJA) Founder and Artistic Director and multiple Grammy Award winner Arturo O’Farrill at its annual Champions for Children Gala on Wednesday, April 13, 2016. Led by Jean Shafiroff, this year’s Gala committee included: Fiona and Stanley Druckenmiller, Colbert Narcisse, and Katrina and Don Peebles as Honorary Chairs; Peggy and John Bader, Missy Kilroy and John Moorhead, Leah and Stan Rumbough, and, Yemi and Patrick Vatel (Committee Members); and, Brooke Laing (Auction Chair). 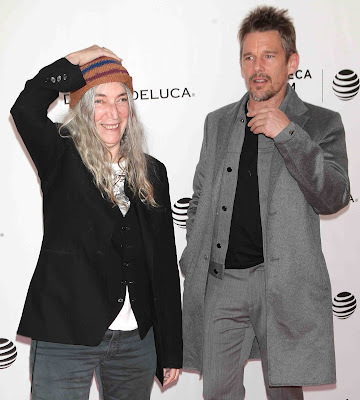 Tribeca Talks Storytellers: Patti Smith with Ethan Hawke at SVA Theater during the 2016 Tribeca Film Festival last night in New York City. Willow Smith was seen at LAX Airport in Los Angeles, California yesterday. She did not seem amused by the cameras. 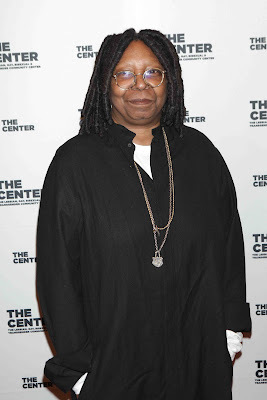 Michael Stipe and Whoopie Goldberg attended the LGBT Center Dinner at Cipriani Wall Street last night in New York City. We guess we know who the REM legend likes for president, Bernie Sanders. 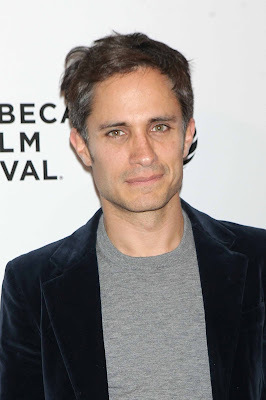 Gael Garcia Bernal was snapped at the 'Madly' Opening Night during the 2016 Tribeca Film Festival at Bow Tie Cinema last night in New York City. Jean Shafiroff , the glamorous philanthropist and author of SUCCESSFUL PHILANTHROPY : HOW TO MAKE A LIFE BY WHAT YOU GIVE, was spotted at the Boy' and Girls' Towns of Italy Gala at the Pierre Hotel in New York City recently. Ms. Shafiroff wore a beautiful red silk embroidered Oscar de la Renta gown. The gown had a distinct Chinese flair to it.